Myspa is a unique brand of natural cosmetic products for facial and body care. Founded by Déborrha, a recipient of the Meilleur Ouvrier de France title, the brand is representative of luxury à la française. It combines ancestral traditions from all five continents with a superior savoir-faire in the pursuit of a truly holistic approach. Myspa products go well-beyond their mere cosmetic application. Ideas of travel and an escape for both the body and mind are an integral part of the brand’s DNA. Its founder travels the world to discover and revisit the professional products and skincare rituals of the future. Each product line has its own original ritual for an incomparable and authentic sensory experience. The diverse fragrances, the carefully selected ingredients, and the respect for ancestral traditions from different continents provide a unique and delicate experience. Myspa is an invitation to Travel, for a timeless break in a Luxury Spa Environment. 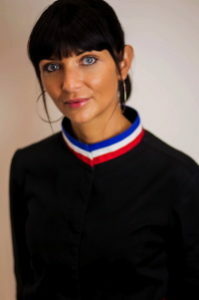 Déborrha, the Creator of Myspa, began her professional career in the school of Cosmetics and Haute Couture in Paris. A manager from the age of 20, she decided to return to the source of the profession and to develop her skills with techniques from around the world. Her voyage began in Provence, then she crisscrossed other continents for a more global perspective. She then decided to settle on the Island of St Barthélemy, where she worked in collaboration with luxury hotels, villas and yachts. She provided her knowledge and techniques to refined and demanding clients. This is how her philosophy was born, a belief that Luxury and Ancestral methods can coexist and that Well-Being and Cosmetics are inseparable, which is what led her to receive the “Meilleur Ouvrier de France en Esthétique” (Finest French Craftsperson in Cosmetics) title of excellence. She then returned to Provence, and upon request from her clients and Professionals in the field, Myspa cosmetics was born in 2013, resulting from this combination of experiences, knowledge and passion. Our Partners trust us because Myspa is a modern Cosmetics Company where Effectiveness means Sensory Awareness and Natural Products. Nearly 600 spas and beauty parlors worldwide distribute Myspa’s products and savoir-faire: USA, France, West Indies, Réunion, Polynesia, Switzerland, Belgium, Finland, Germany, Congo, Senegal, with many more to follow. Myspa continues its trip around the World! Myspa is a brand created by a Professional, for Professionals. This is why Myspa is distributed through a network of Professionals who have deep knowledge of beauty and well-being. Myspa is also synonymous with Freedom. This means that our Partners are free to adapt our products to their treatment menu and to their customers. We offer training for our products and massage rituals, through our accredited training center: protocols, explained in a simple way, that respect traditions and are accessible to every level of training. For Myspa, “Taking care of yourself is a lifestyle” and taking care of others is also a priority! With the Charter of Quality and Ethical Commitment, we commit to conduct ourselves in such a way as to demonstrate Respect for France, Nature, the Environment and Populations. Products made in France, with Provençal expertise. Natural products made from a minimum of 95% natural ingredients, and Myspa is very careful about the remaining 5% too! The exclusive use of French Perfumers, for their international renown and in support of French values. Plant oils and Shea Butters originating mainly from organic farming or natural farming methods. Organically or naturally sourced active ingredients, predominantly originating from plants. For its packaging and marketing tools, Myspa selects materials that are preferably recyclable and made in France. Myspa asks Professionals to develop consumer awareness by reminding their clients to recycle their jars or bottles. Together, working towards a better world!